Augusto Tul Rax, participant in the Congress of Maya Epigraphers at the Universidad de Oriente, Valladolid, Yucatán, México, 2012. 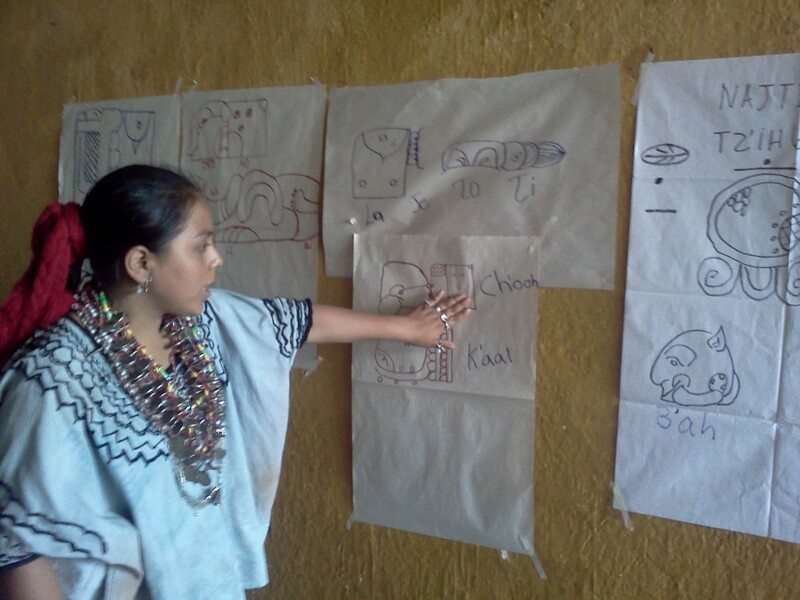 On April 22 of this year a workshop was held for a group of candidates for Rixq’uun Ma ‘Muun (Maya Poqomchi’ Princess of Munchu), part of the celebration of the patron saint of Santa Cruz Verapaz, located in the department of Alta Verapaz, Guatemala. 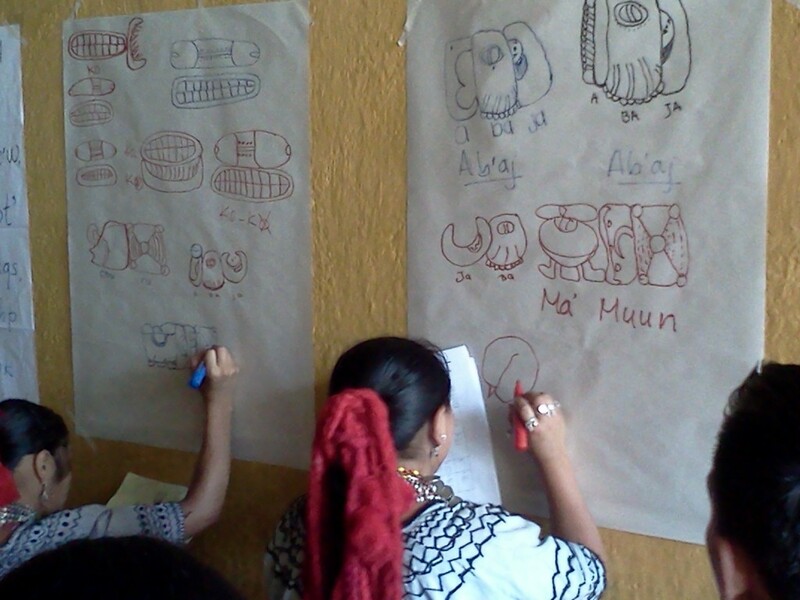 The workshop taught participants the basic elements of ancient Maya writing, which was practiced by using the syllabary to write vocabularies, place names, and the first and last names of each of the participants. In addition to the candidates for Rixq’uun Ma ‘Muun, the workshop was attended by some students, parents, and members of the commission that organized this cultural event.